offers many desirable features. It has 5 drying trays that are stackable and interlocking, and the package also includes a fruit roll-up sheet. The temperature can be adjusted. So whether you need low, medium or high heat, you can gauge the amount necessary for various drying processes. The new fan system that it contains is designed to promote better air flow during the drying process. 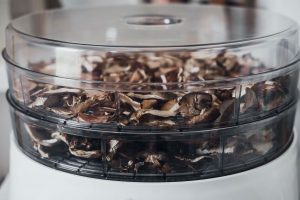 The Waring Pro DHR30 Professional Dehydrator is ideal for dehydrating beef for beef jerky, as well as fruits and herbs. 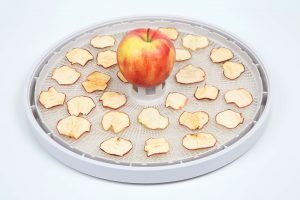 The dehydrator is also very portable, weighing only 7.6 pounds and measures approximately 15 x 12 x 12 inches. The Waring Pro DHR30 Professional Dehydrator is a very lightweight dehydrator that can be used to dry many food items. It contains 5 trays, which can be stacked on top of each other, and they can be interlocked. 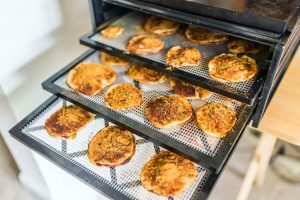 With an adjustable thermostat, the temperature can be adjusted to low, medium or high so you have flexibility in selecting the temperature at which the food item is dried. The device has a fan system, which allows very good air flow during the dehydration process. Additionally, the Waring Pro DHR30 Professional Dehydrator is expandable up to 9 trays and requires 620 Watts of power to function. In order to make an informed choice, you need to know about other products that are available for purchase. 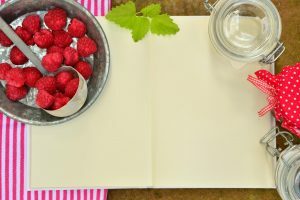 Making reasonable comparisons of available products will provide you with more confidence when making a final selection of the product you want to purchase. As such, two other products will be compared. 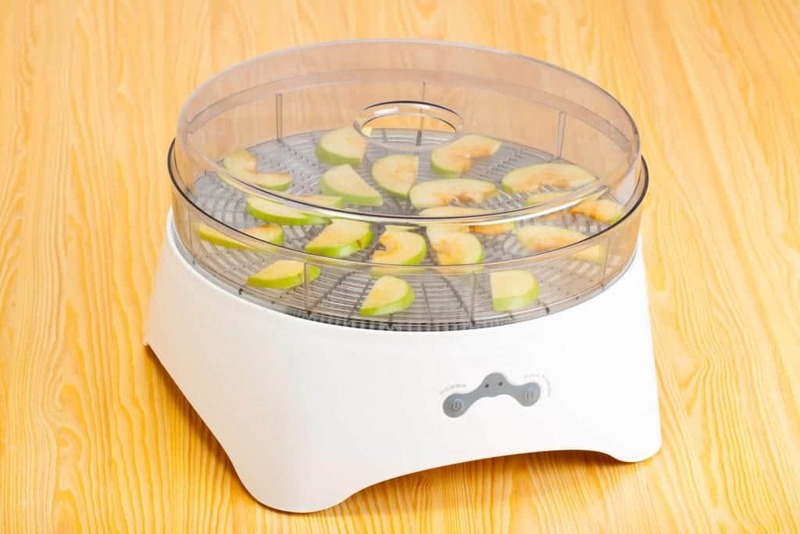 The first device is the Nesco FD-80A Square-Shaped Dehydrator. It has a top-mounted fan and an air circulation system that enables fast drying. The thermostat is adjustable and an instruction manual is also included in the package. The dehydrator weighs just about 9 pounds and measures approximately 15 x 10 x 16 inches. Another product with comparable features is the Victorio VKP1006 Electric Food Dehydrator. 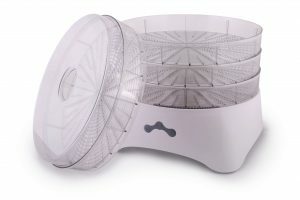 It has 5 drying trays but can be expanded to contain a maximum of 9 trays. It uses very little energy as it only requires 250 Watts of electricity and has an internal thermostat that is pre-set to 140°F. The device weighs just over 6 pounds and has accessories such as fruit trays, which are optional. When you consider the features of all 3 dehydrators, the features of the Waring Pro DHR30 Professional Dehydrator truly stands out. 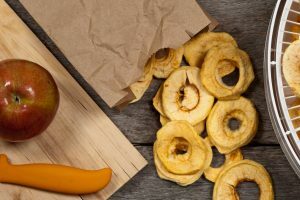 With just a few dollars difference in the prices of all three items, the Waring brand seems to offer more while remaining quite cost effective. It is certainly a good investment. priced reasonably, it has a few features that are quite advantageous. Unlike some dehydrators with pre-set temperatures, the Waring Pro DHR30 Professional Dehydrator allows you to select the temperature at which you would like to dry your food items. Whether you prefer low heat, medium heat or very high heat, the thermostat can be gauged to reflect your preference or the temperature at which the food item will dry the best. 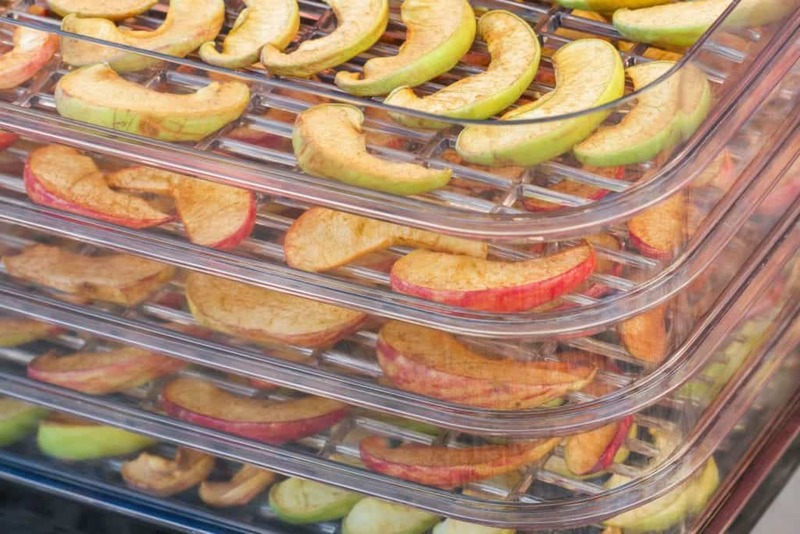 There is no doubt that having a device like the Waring Pro DHR30 Professional Dehydrator will be an asset. 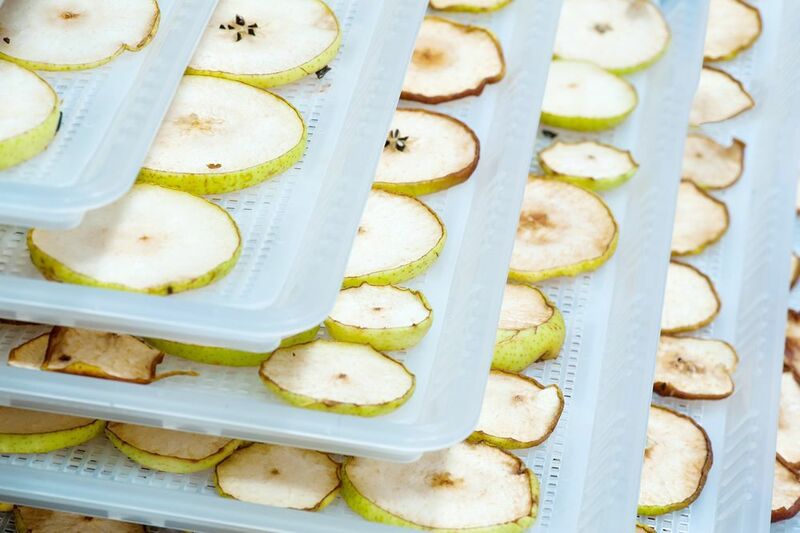 If you desire to dehydrate a small amount of items, you do not have to assemble all 5 trays, and if you wish to dry a much larger batch, you can always purchase more trays so you can have a maximum of 9 trays being dried at once. How remarkable is that? 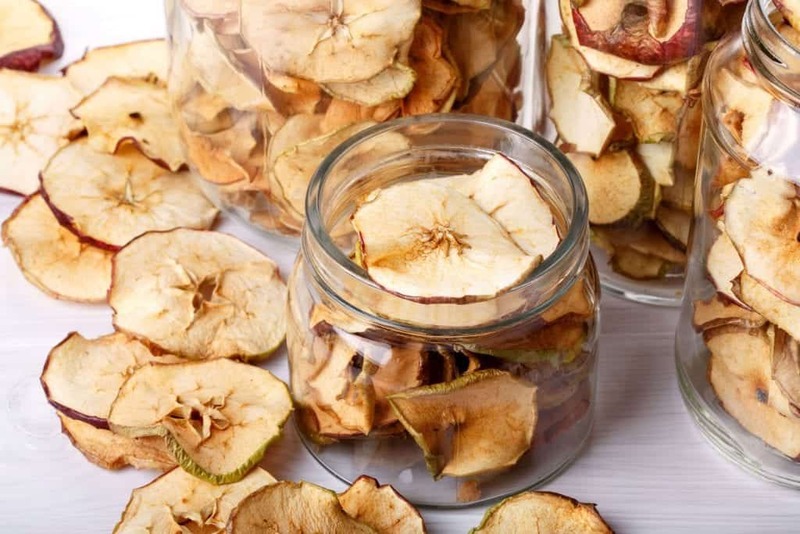 You are basically able to customize the dehydrator to facilitate your needs. It doesn’t get much better than that. 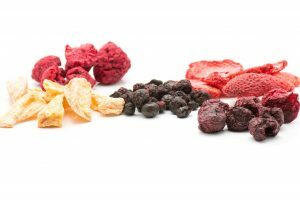 With all things considered, the Waring Pro DHR30 Professional Dehydrator is a product that will provide good value for the money spent. Its durability, versatility and customizability help to set it apart from other products that are available for purchase within its price range.